Welcome to Watson Brady. We are a boutique firm offering bespoke legal services to clients in the funds industry. Our focus is on developing valuable and open relationships with clients; adding value to their business is central to our firm’s proposition. Everything we do is catered to the funds industry. The key expertise we offer in funds, corporate and operational matters has seen us recognised by Legal 500, 2017 for our work in the hedge funds area and by Best Lawyers, 2017 for our work in the private equity field. Watson Brady was established to cater to the demands of businesses in and around the funds industry. Our clients include hedge fund managers, PE fund managers, property fund managers, sovereign and institutional investors and proprietary traders. Clients are based in the US, UK, Switzerland, Australia, Russia and various parts of the Middle East. They also include law firms looking to import funds expertise for specific projects. We advise on fund establishment and restructuring, fund operations, financial regulation, investment due diligence and custody and trading documentation. A core part of our work is advising the client in respect of corporate, commercial and partnership matters. This includes set piece projects – such as joint ventures, mergers and start-up business arrangements – and day-to-day work around constitutional issues, commercial relationships, contract review and negotiation and corporate governance. We are a specialist, tight-knit team, which offers maximum flexibility and is augmented by lawyers from other specialist law firms, all of whom are highly rated in their fields of expertise. We cherry pick the best and use our relationships to secure competitive terms in return for excellent and collaborative service. We have the right breadth and depth of market experience to understand what drives a client’s requirements and to provide practical advice in relation to fund establishment and operations. We have experienced first-hand the challenges that growing businesses face. As such, our interests and experience are aligned with those of our clients. Every instruction we take on starts with a briefing to identify our client’s real needs and how we might help in achieving them. From then on we are practical, economical, timely and straightforward. 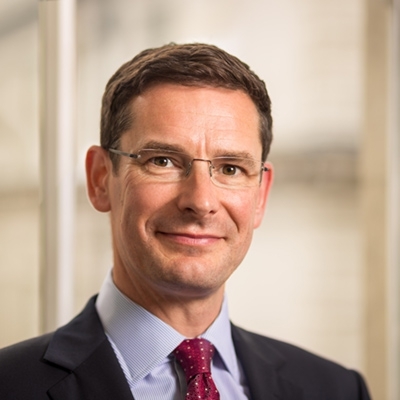 Mark Brady has been specialising in investment funds work for the last sixteen years, having spent the previous decade working as a corporate lawyer in London and south-east Asia. In that time he has represented some of the foremost fund management businesses in the UK and internationally. He is one of London’s most experienced “buy-side” funds lawyers. Mark’s full-time move into the funds area started when he joined Dechert in 1999 and included his latest role as a partner specialising in alternative investment funds at Eversheds. Commercial experience includes a 6 months stint as acting-General Counsel of Threadneedle, while also holding down a day job as a law firm partner. Mark is featured in Legal 500, 2017 as a recommended hedge fund lawyer and in Best Lawyers, 2017 as a leading private equity lawyer. Jonathan is a corporate and commercial lawyer with over 17 years’ experience of executing projects and transactions both as a law firm partner and as a consultant to financial services firms, such as Invesco and Citibank. He is a specialist in domestic and cross-border mergers, acquisitions, joint ventures, restructurings and other strategic projects. An agile and efficient negotiator and co-ordinator of internal, cross-department input and other external advisers, Jonathan’s experienced, sensible and enthusiastic approach supports the delivery of successful outcomes for his clients. While we often act on discreet transactional and advisory projects, the mainstay of our work is characterised by ongoing and collaborative relationships with our clients which sees us handling an array of day-to-day issues. This allows us to gain an understanding of our client's business, ambitions and challenges, which in turn allows us to focus intensely on finding tailored solutions in an efficient way. We generally take the role of lead lawyers in setting up and restructuring funds. This will usually entail scoping the project, preparing or amending the offering memorandum and related constitutional documents and material contracts, liaising with other professionals and overseeing closings. We will meet with a client at the outset to scope a project and agree on an allocation of responsibilities, desired timetable, chronology of events and fees involved. At this stage, we will normally touch on issues of marketing, regulatory questions, fund domicile, liquidity terms, fees and tax advice required. The issue of law and regulation in the funds area did not stop with the implementation of AIMFD, Dodd-Frank and EMIR. We are continuously seeing more regulation being implemented, including MIFIR, CRD IV and MIFID II, as well as a more assertive approach from the financial services regulators. We can advise on these matters as well as advise on FCA compliance, approved persons and authorisation. The funds industry has its fair share of corporate and partnership issues to deal with. Our corporate/partnership deals experience and our funds specialisation leave us well positioned to meet that demand. Our work includes advising on set-piece projects – such as fundraisings, joint ventures, mergers, and start-up business arrangements – and day-to-day work around shareholders’ agreements, LLP Agreements, articles of association, partnership matters, contract review and negotiation and corporate governance. “I would say that Watson Brady is first class when it comes to hedge fund and private equity work – both establishment work and ongoing regulatory and advisory support. However, I do not restrict that to the fund work itself, since I think one of the ways that Watson Brady adds value is in the advice to the manager about the structuring and arrangements for the manager. Most larger law firms are not proficient at this work since they often struggle with the emotional intelligence required to find outcomes that work for the personalities involved in running these businesses. So this would be a USP of Watson Brady. Mark is excellent in this field and it is partly because he has got great experience, but it’s also because he is a hands-on partner and is able to help find good outcomes. That personal touch and EQ beyond lawyering is missing at many larger firms. “Tyler Capital has enjoyed a five-year relationship with Watson Brady. It has been of such success, such depth and precision, and of such tremendous value that our Tyler Leadership team consider Mark Brady as our ‘synthetic’ general counsel. Mark’s dedication to value creation is manifest in not just providing an effective suite of legal solutions to our varied corporate needs – ranging from corporate structuring, a variety of vendor/personal/and corporate contracts, partnership deeds, to name a few – but also working with our organisation to understand our strategic aspirations so that he can create value in its pursuit. This dedication to value is complemented by a first-class mind, a man of admirable integrity and a capacity to solve complex problems, fast. Under Mark’s leadership, Watson Brady has flourished. In effect, Watson Brady is the first call we make when (i) thinking out loud, and in need of legal perspective, (ii) considering any legal action of any sort, whether they provide the service or source it on our behalf, and (iii) any contract or corporate work is required by our firm, to optimise our performance. “Having used Watson Brady for assistance in the negotiation of ISDA Documentation, EMIR Agreements and Custody Documentation, I have no hesitation in recommending them. Their pragmatic and straight forward approach is refreshing.